The greatest, scariest Buffy The Vampire Slayer episode of all time has reemerged for Boom! Studios new comic series. Yesterday, Boom! 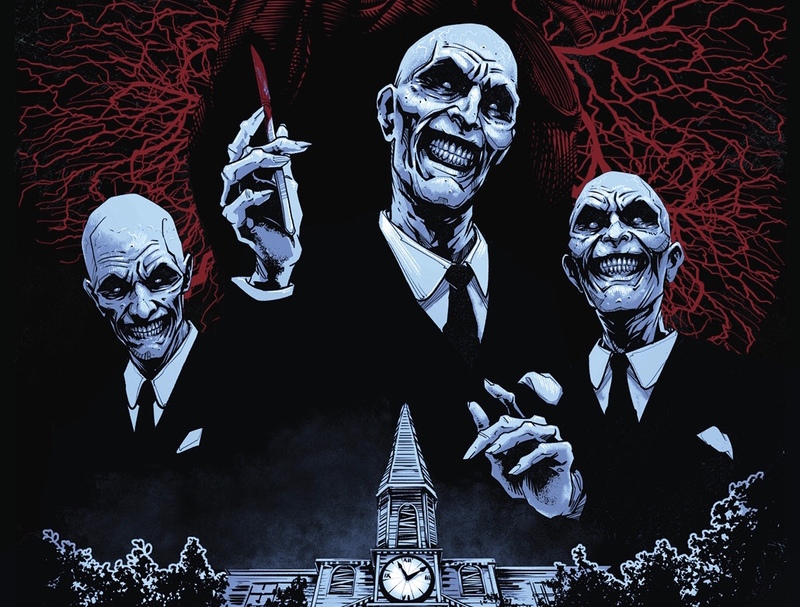 Studios posted the newest alternate artwork cover for Buffy The Vampire Slayer #3, featuring The Gentlemen from the Television episode Hush. The original episode aired on December 14, 1999 on the WB TV network. It was the 10th and penultimate episode of season 4 part 1 (video edition), however with new technology it comes just under half way through the series. The Gentlemen are supposedly fairytale characters that can be killed with a human voice. Sounds simple enough, right? Well, it isn’t exactly easy for protagonist Buffy (Sarah Michelle Gellar) to scream, when not only her own, but the entire town’s voices have been stolen by the skeletal men. The almost entirely silent episode of BTVS is renowned for its uniqueness in a series that relies heavily on language to drive its characters. Joss Whedon goes above and beyond to prove just how real and believable his characters are, by implementing these floating, deathly figures into Buffy’s life. So, with this in mind, the comic version may find difficulty in driving the story along, since the dialogue will probably be limited – good luck, illustrators and colourists!